Pierre Auguste Renoir was one of the leading painters of the Impressionist group, along with Monet. ​These colors gave his paintings a warmer and sunnier feel. He also used different types of brushstrokes on his canvases. 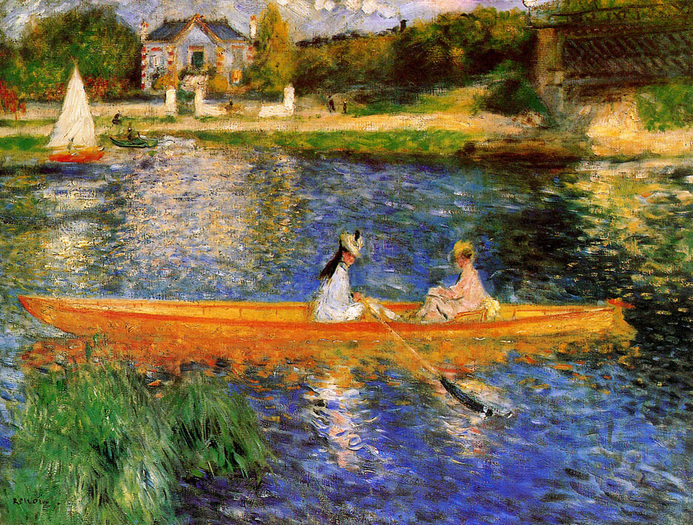 ​Renoir’s paintings celebrate beauty. Our painting of the week is Renoir’s Luncheon of the Boating Party. The painting captures a moment of fun and leisure as friends of Renoir share food, drink, and conversation on a balcony overlooking the Seine River. They are gathered at a restaurant just outside of Paris. The group of people included artists, writers, seamstresses, actresses, shop girls, and businessmen. Renoir later married the girl holding the dog. 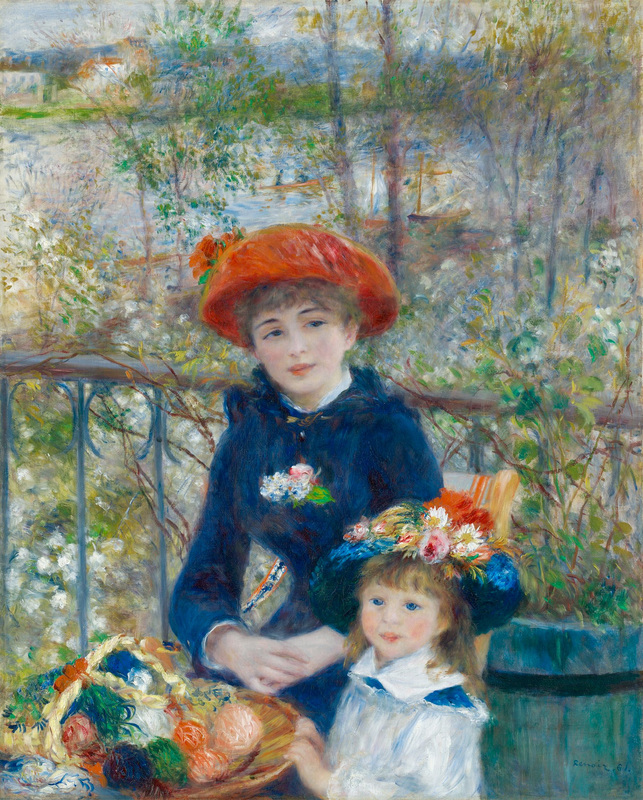 Renoir didn’t have an easy time completing this painting and did multiple revisions. He complained about how difficult it was to finish it when different persons in the group would not show up when they were supposed to. Phillips Gallery in Washington, D.C. The Luncheon of the Boating Party is one of this French artist's most famous paintings, yet the home of this canvas is in America. American Duncan Phillips purchased the painting and brought it to his art gallery, the Phillips Gallery. The Phillips Gallery, which is called America’s First Museum of Modern Art, was established in 1921 in Washington, D.C. The Luncheon of the Boating Party is a very big painting - 4 feet and 3 inches by 5 feet and 8 inches. The scene in the painting looks very different when you look at it close-up. 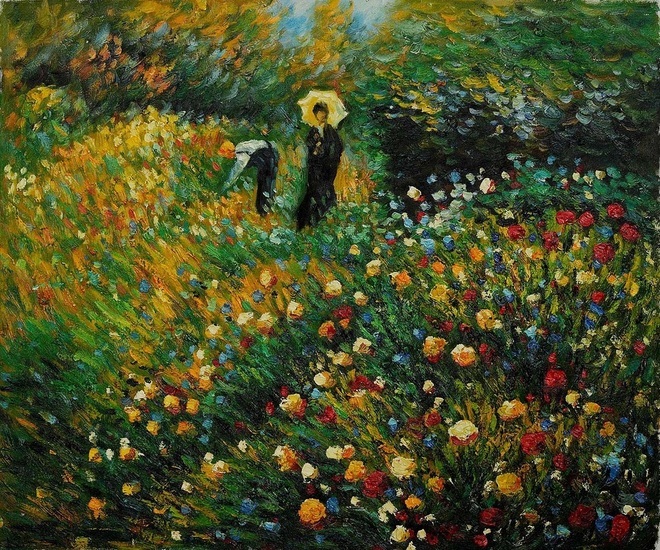 Renoir and the other Impressionists were good at using dabs of color to create images that merged together when viewed as a whole from a distance. Renoir was born in France. He was the son of a tailor and a seamstress. When he was about four years-old, his family moved to Paris near the Louvre art museum. As a boy, Renoir worked making porcelain designs. When Renoir was nineteen, he began studying paintings in the Louvre and copying them. He wanted to learn more, so he entered a Paris art school. Renoir struggled to make a living as an artist. He had to often depend on help from friends, since he had little money. After many of Renoir’s paintings were rejected by the Paris art salon, he and some of his friends, including Monet and Edgar Degas, decided to show their works on their own in Paris in 1874, which became known as the first Impressionist exhibition. It was clear that the Impressionist works would be refused by the Salon, which was the important Paris art group. So the Impressionists established their own "Salon des Refuses", the show of the refused ones. 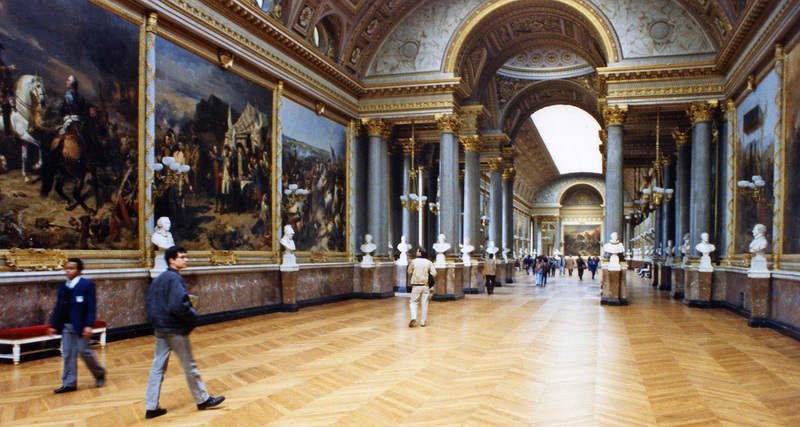 ​For inspiration, Renoir traveled to study other artists and locations. He traveled to Algeria, then to Madrid to see the work of Velazquez. Renoir painted this scene while in Venice. Renoir spent one summer on an island in the English Channel where he painted scenes with the beaches, cliffs, and bays. Dance at the Moulin de la Galette is one of Renoir’s most famous paintings. Like Luncheon of the Boating Party, it shows Parisians having a good time together. The Moulin de la Galette was a place in Paris where many would gather to dance and socialize. A windmill there produced bread called ‘galette,’ thus the name - Moulin de la Galette. Moulin means windmill in French. Renoir was so passionate about painting that he continued when he was old and suffering from severe arthritis which crippled his hands. Renoir then painted with a brush tied to his wrist. He painted a picture of flowers on the day he died. 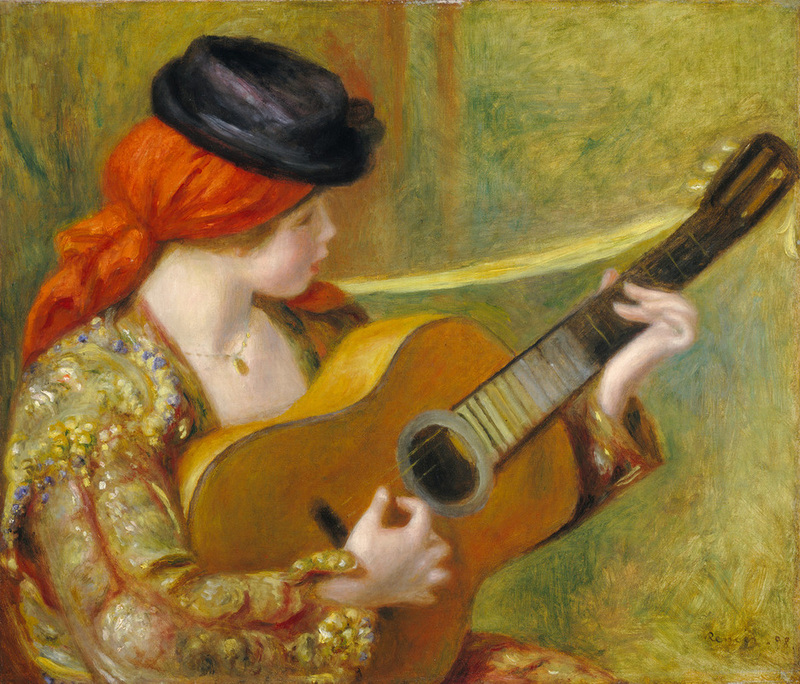 Renoir left behind over two-hundred paintings and inspired the works of many artists.